One of my most important thrifting tips is to always check multiple sizes on the rack - don't only look in the one section that is your typical size. You will miss so many items that are misplaced in the store or can be easily altered to fit you. The one section that this applies to the most is the skirt rack. Most skirts are easy to size down in just one straight stitch! 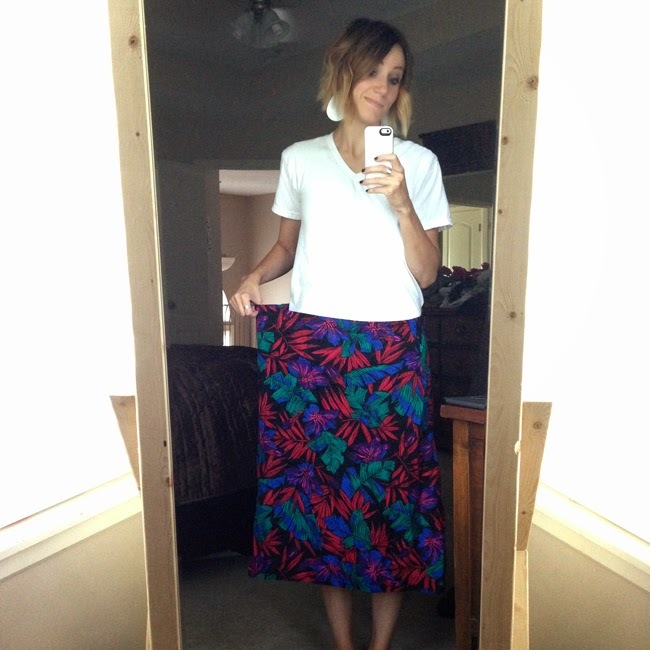 I've got the tutorial for you today - how to size down a skirt that is too large for you. It only takes about 15-25 minutes depending on if you get it right the first time. 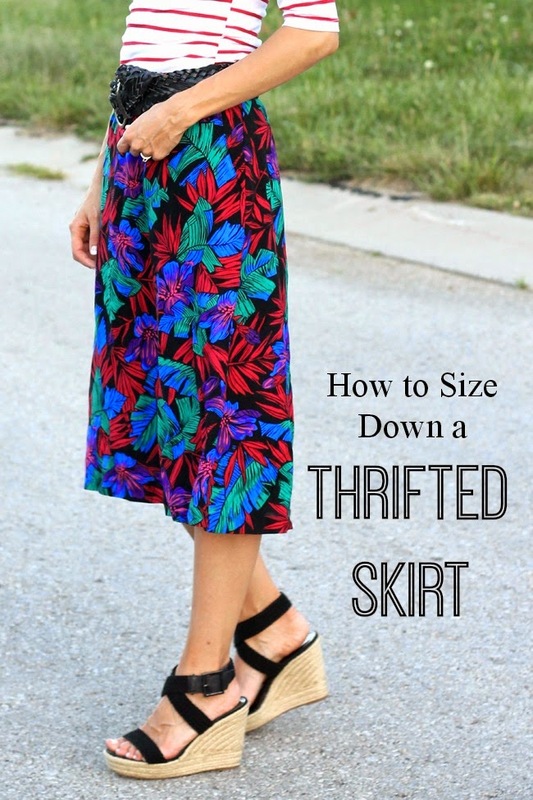 First, you'll want to find a large (ideally thrifted) skirt. The only requirements are that it not cost a whole lot, you love it, and hopefully it already has a seam running down the back. I have done this to many skirts that don't have a back seam, so it's not required. As you can see, the skirt I picked was cotton (easy to sew with), used a busy fabric (no need to match patterns up), and had an elastic waist. It also had a seam up the back. These qualities all make it the BEST kind of skirt to quickly alter. The only thing that didn't make it absolutely perfect for this project was that it had side seams as well. Those side seams will shift towards the back a bit when you do this alteration, so if you can skip them or modify it by taking in the sides rather than the back, your skirt will turn out the best. First, try on the skirt and find out how much excess fabric you have in the waist. You'll want to pinch it and then pin it in the back. If you try the skirt on inside out, you won't have to move the pin when you go to sew. Then try it on after you have pinned it to make sure that you can still pull the skirt up and down to get it on and off. Next, make sure the skirt is inside out and pin all the way down from the waist in the back. (If you had only side seams you could also split the difference of the excess fabric and pin down each side of the skirt.) You will be taking the seam in, so whether you do it in the back or on the sides doesn't matter. 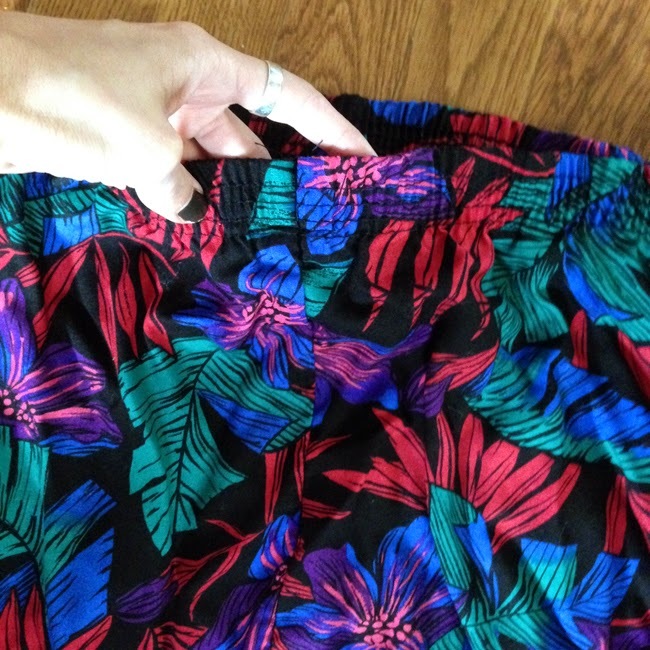 Depending on the shape of the skirt, try to just pin the same width away from the original seams as possible. Next, sew a straight stitch down following (and removing) your pins. Feel free to use a matching thread - or be lazy like me and use the white that you already had loaded. Try on the skirt again to check for fit. If it doesn't fit, you can unpick and adjust your new seam. 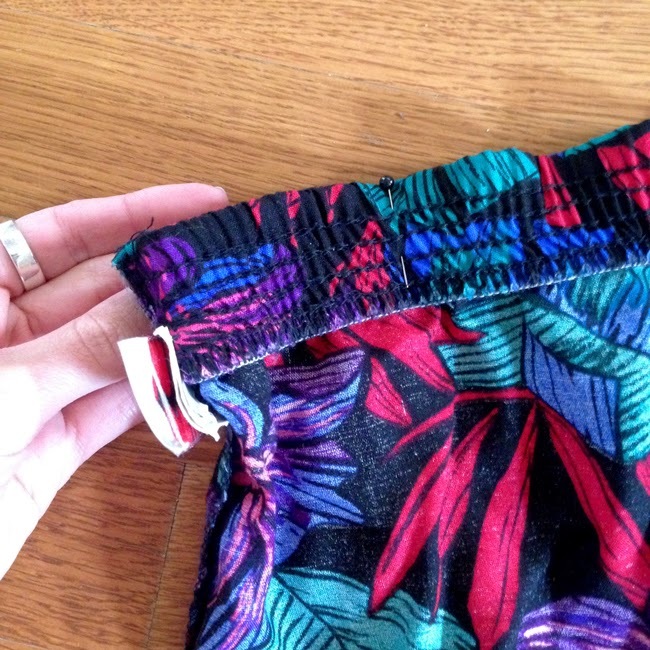 If it does fit, then cut off the excess fabric and old seam close to the new seam. 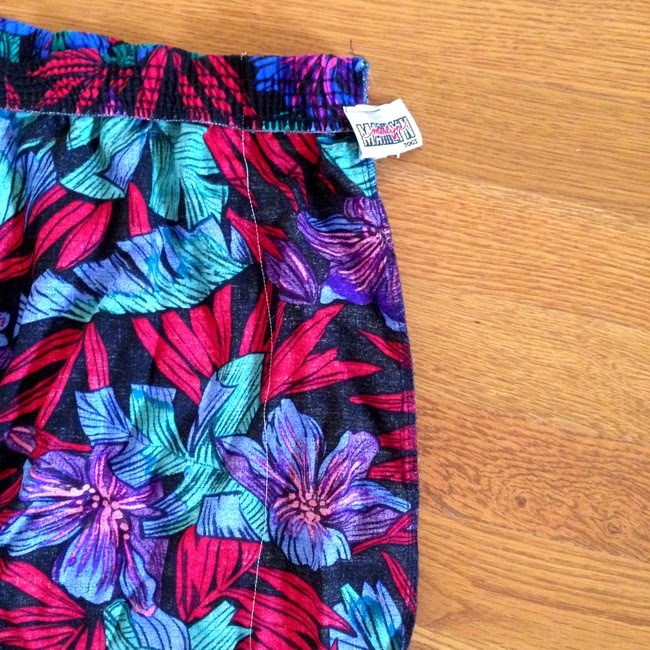 Iron down your new seam and voila! Your skirt fits! I probably alter ten skirts a year like this, and it's one of my favorite ways to alter clothing. It isn't a perfect job, but it works, it's quick, and these are the kind of inexpensive and fun skirts that you can wear a few times and then re-donate. Have you tried this kind of alteration before? I do this all the time! I've also been known to upcycle a dress into a skirt! I want to deconstruct pants next and take them in. 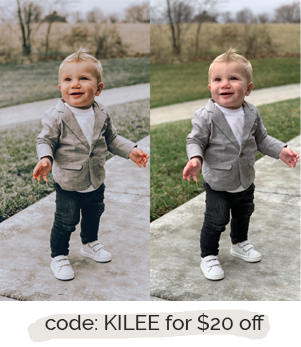 With the thrifted price it makes a great learning project! Love the skirt!! How in the world did you take that granny skirt and make it look so good?! You are like a magician! There is no way I would have ever picked that out, but you made it work. It would be so fun to go thrifting with you! You make it sound so easy! I might have to try. 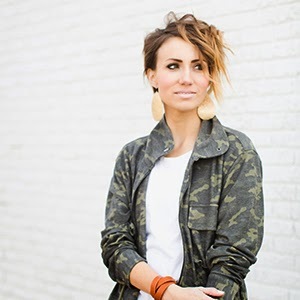 I love your pattern mixing, too!